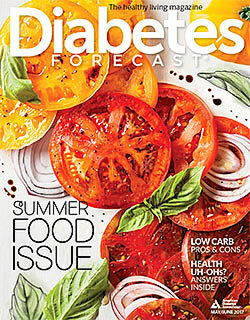 Diabetes disproportionately affects older adults. Approximately 25% of Americans over the age of 60 years have diabetes, and aging of the U.S. population is widely acknowledged as one of the drivers of the diabetes epidemic. Although the burden of diabetes is often described in terms of its impact on working-aged adults, the disease also affects longevity, functional status, and risk of institutionalization for older patients. Download Living Healthy with Diabetes: A Guide for Adults 55 and Up to learn more. To address this need, the American Diabetes Association is developing an older adult outreach program. Our Senior Signature Series targets older adults across the nation. Our goals are to address the needs of this group of constituents and increase the level of awareness about the high prevalence of diabetes and prediabetes among our seniors. ways people can Share-Act-Learn-Give to help Stop Diabetes. A Senior Signature Series event is a half-day educational event inviting individuals age 65 years and older to learn more about diabetes. To find out what programs are offered in your area, contact the American Diabetes Association at 1-888-DIABETES (888-342-2383).